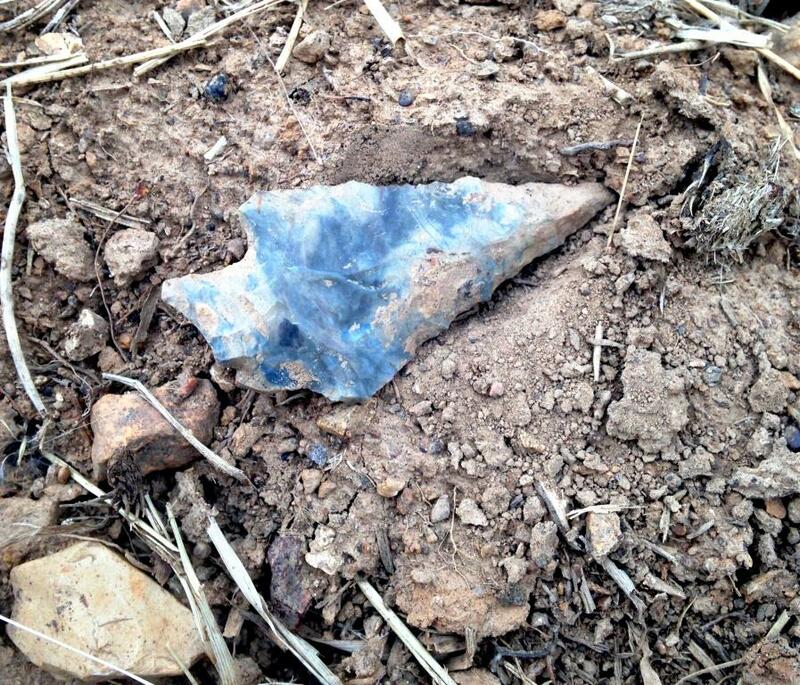 An arrowhead recently recovered in Middle Tennessee by the author. In my attempt to answer that question, let me first address the three most obvious guides to purchasing just about anything: (1) if the price is too good to be true, then it probably is; (2) if it looks too good to be true, then it probably is; and (3), buy from a trusted dealer who will stand behind the things they sell. Unfortunately, when it comes to the purchase of arrowheads and other Native American artifacts, it’s just not that simple. The majority of modern day reproductions, especially those made with fraudulent intentions, are extremely difficult to detect. While there are many highly skilled, modern flint knappers replicating the ancient art, most do so openly, and market their products honestly as “reproductions.” It’s the other category that poses the biggest threat. A flint knapper using an antler as a soft hammer. 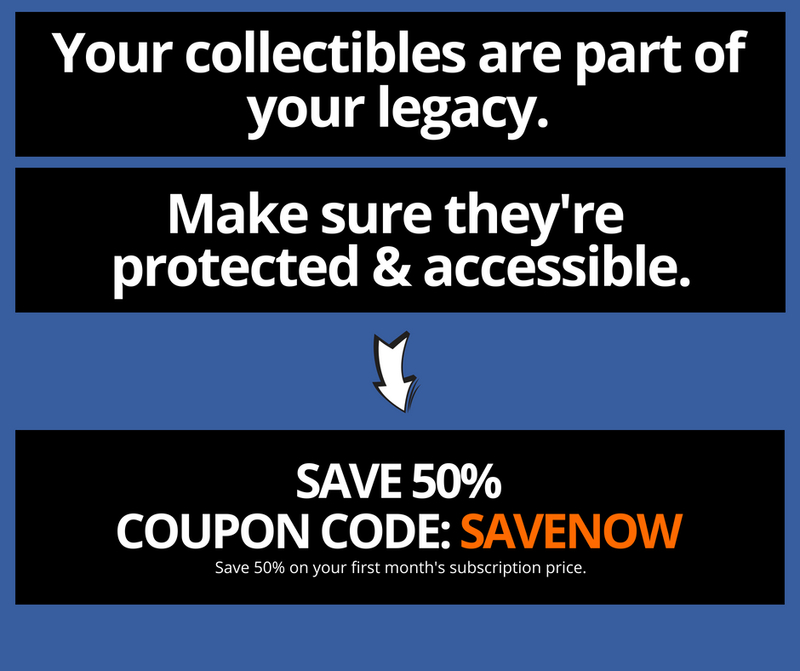 Those in the businesses of duping collectors approach their dishonorable craft with the discipline. In fact, it can be argued that they are better knappers than their ancient counterparts. 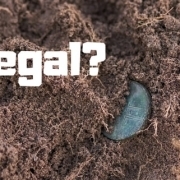 Many will invest in genuine artifacts to study and duplicate. 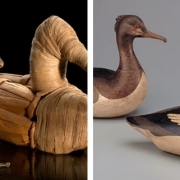 They will also visit museum collections, invest in reference books, visit artifact shows, and consume themselves with research, all in the quest of mastering their craftsmanship. 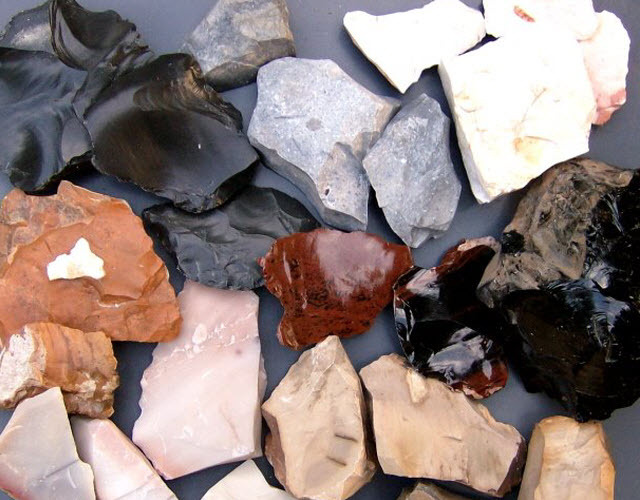 Modern day knappers have access to quarried Obsidian, Dacite, Steatite, Novaculite, Chert, and various types of other material – the same material that was used to create ancient/authentic arrowheads and stone tools. 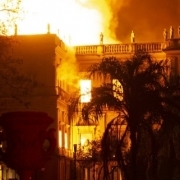 Modern reproductions are now produced as exact duplicates, made of the proper raw material. Modern day knappers have access to quarried Obsidian, Dacite, Steatite, Novaculite, Chert, and various types of other material. 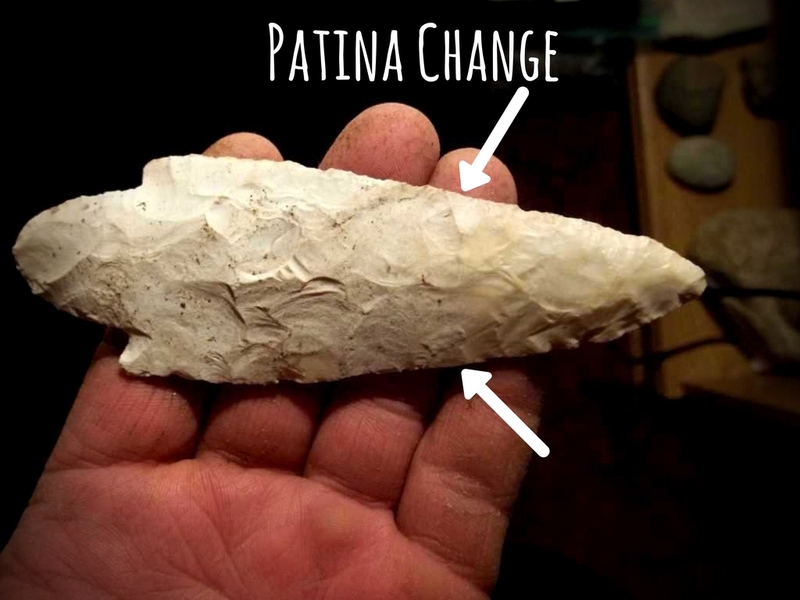 Being that most authentic arrowheads and stone tools have endured hundreds of years exposed to the elements, most have signs of weathered wear. 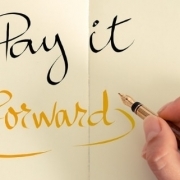 Forgers know this and deploy several methods to replicate this effect. Some will deliberately “damage” a piece by adding scratches or breaks in the stone. The more sophisticated forger will sandblast the surface of knapped stone to dull its high points and edges. After the object has been sandblasted, it will then be submerged in an acid bath. The acid breaks down the stone further and creates a natural, aged patina. 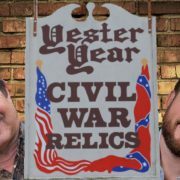 Your “backwoods” forger may even bury his freshly knapped arrowheads in a pile of cow manure to acquire a well-aged patina! Don’t overlook one of the more common techniques of forgery – original items that have been reworked and repaired. 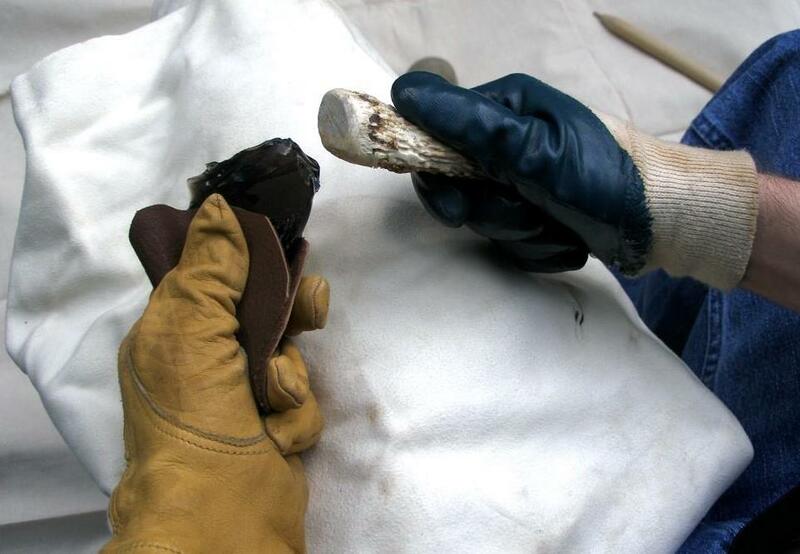 This form of forgery is typically applied to larger flint blades and knives. For example, a common application of this comes in the form of notches added to the base of a blade, dramatically increasing its selling price. In this example, notice the change in patina towards the front-third of the arrowhead. Such a change in patina is often the result of a reworked point. Another common rework is to repoint the broken or damaged arrowhead. Again, such a repair can transform a “heartbreaker” into a valuable gem in a matter of a few strokes from a skilled knapper. The more you handle authentic, ancient arrowheads, the more likely you are to distinguish between the real deal and a fake. However, due to the sophistication of the fraudulent knapper, that’s not enough. A close relative of “handling experience” is research. Long considered the bible of arrowhead identification, the Overstreet Identification and Price Guide is a must have. Arrowheads are organized by region and then alphabetically. Each region also has a quick reference chart highlighting the basic styles indigenous to that particular region. 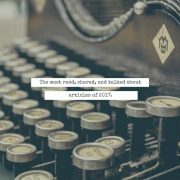 The guide is full of detailed images and descriptions to help sharpen your knowledge and train your eye. Speaking from personal experience, my father, a longtime arrowhead collector, just purchased this book and has found it very useful. In summary, this is an excellent reference book for knowing what authentic Ancient Indian Arrowheads look like! Once you’ve equipped yourself with the knowledge contained in the Overstreet guide, I would then suggest shifting your research to learning how to identify altered and fraudulent arrowheads. 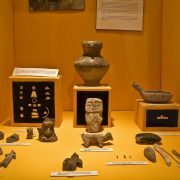 A great resource for this subject can be found in Jim Bennett’s book, Authenticating Ancient Indian Artifacts. With more than 750 full-color photos, you will gain a very clear understanding of what to look for when examining the authenticity of an arrowhead. 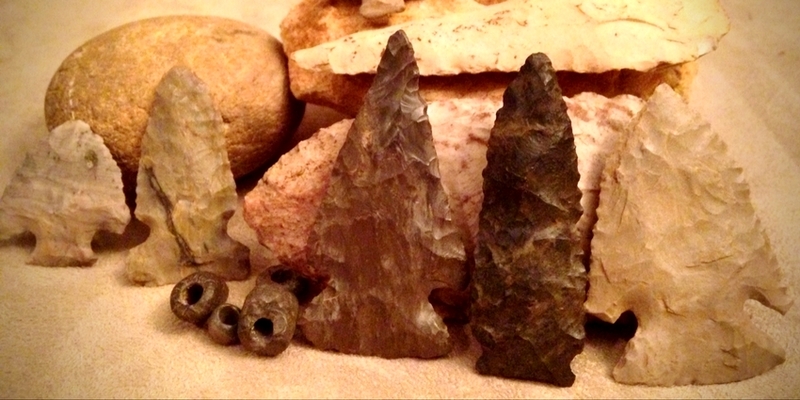 Lastly, to spot a modern crafted arrowhead, try knapping your own… or at least learn how it’s done! The go-to guide for flint knappers, “The Art of Flint Knapping” provides step-by-step instructions and illustrations for knapping a wide variety of stone points and tools. Having such knowledge will help you ascertain what a point should look like from flaking and edges to materials and patina. Keep an eye out for those hucksters and charlatans peddling Indian Artifakes! Good luck!